Closeup of the dash. 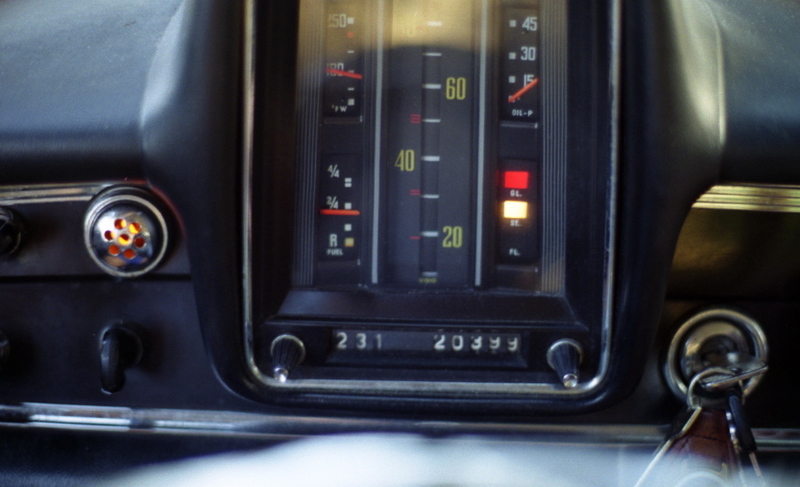 The speedometer was a colored bar that rose up the center column. It started off yellow, at 20mph it changed to yellow/red stripes, and above 40mph it was fully red. I wish I had a picture of it but I didn't want to try to take a picture of it while driving.